The Translational Research Unit has been created by the ICM in 2013 in order to centralize translational activities. 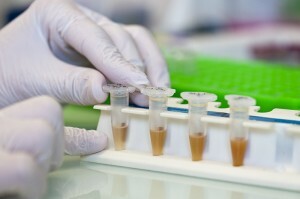 The first expertise of the URT is the work on human biological specimens. Particularly, URT can select i) the cohort of patient of interest based on clinical criteria through the analysis of the computerized medical record, ii) tumour material by using macrodissection or microdissection starting from FFPE specimens. The second field of expertise is the analysis of nucleic acids coming from challenging clinical samples. Various methodologies to detect germline polymorphisms or somatic mutations have been implemented as for example: screening approaches such as high resolution melting, or targeted technologies such as pyrosequencing or droplet digital PCR. Quantitative analysis of nucleic acids can be performed based on the reverse transcription-polymerase chain reaction or the multiplex ligation probe assay. Epigenetic analyses such as determination of methylation profiles are also carried out. URT has also an expertise in mass spectrometry. Particularly, this approach is used for protein identification and quantification (ABSCiex Triple Tof 5600 and Advion LESA). Immunohistochemistry (IHC) is also mastered with more than 130 antibodies validated and IHC optimization can be performed for commercially available or custom antibodies. Finally, thanks to a partnership with a diagnosis company, URT has an expertise in time resolved fluorescence energy transfer (TR-FRET) and developed assays for the qualitative analysis of nucleic acids, the characterization of protein/protein (dimerization profiles) or protein/nucleic acid interaction. – To monitor technological developments to increase its fields of expertise. In 2016, URT has been implicated in 39 translational projects and participated in 9 ancillary studies. The URT is closely linked to the biobank centre of ICM and is directly attached to the scientific direction of ICM. The staff of URT consists of 9 members : 1 operating manager, 2 technicians, 4 engineers with complementary skills (morphological analyses, molecular biology, mass spectrometry analysis and pharmacology), 1 supervisor shared with the ICM-Biobank and 1 pathologist with dedicated part-time. The Unit owns dedicated materials. Particularly, URT is autonomous for the generation of slides from FFPE blocks, automated IHC, microscopic examination and TMA generation. Members of URT have access to equipments of the bioapathology unit or the IRCM. Mass spectrometry is a technology widely used in ancillary studies of clinical trials for therapeutic drug monitoring, biomarkers dosage or identification of point mutations in cancer patients. 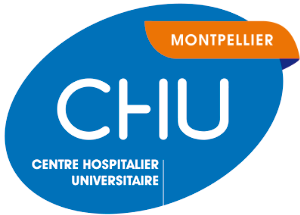 The ICM, in collaboration with the SIRIC Montpellier Cancer and the MabImprove Labex, acquired within the URT a new cutting-edge mass spectrometry (with additional equipments ABSCiex Triple Tof 5600 et Advion LESA). This platform so equipped will be able to address the concerns of clinicians and those of research teams to strengthen their collaboration on new translational research projects.